Unseen Films is happy to present this guest post by Isaac Cates, Lecturer at the University of Vermont College of Arts and Sciences, and the editor of the comics anthology Cartozia Tales. One of my little irrational frustrations, teaching college English, is a sort of impossible expectation of transcendent instruction - that is, hoping that the papers at the bottom of the grading stack will somehow magically learn from the corrections I make at the top of the pile. I just saw Captain America: Civil War for the second time, and I was mad that the movie hadn't somehow fixed the things that were bothering me about it the first time. So, as a sort of mental exercise, I tried to read the movie in a way that would amend these problems. Probably I should say up front that I enjoyed the movie, even the second time. The stuff with Spider-Man and Ant-Man still felt fresh; Falcon really shone in terms of comedic timing; Black Panther was great to watch. But, as Film Crit Hulk has said, the movie really is a series of moments, not a story or a plot. Honestly, the worst thing about the structure of Civil War is probably that its climax of visual imagination, the Leipzig airport superhero dustup, happens in the second act. It was easy to imagine leaving the theater after that. But the structural problem that nagged at me the longest had to do with point of view. Zemo, who is at least supposed to be the movie's antagonist, has almost nothing to do with that big, cool battle at the airport, except that he has supplied an urgent reason for Winter Soldier and Captain America to hurry off to Siberia (without explaining it first to Iron Man etc., who might still be able to arrest them within twelve hours, but by then no one's in the mood to talk). In fact, the reason Cap is so keen to fly to Russia turns out to have been a red herring anyway - a clue he could safely have ignored - so a lot of the energy and drama is to no purpose. But what if you turn the movie around and think about the plot from Zemo's point of view? A plot should still hold water when considered from the antagonist's point of view. Motives should be coherent, decisions should make sense given what the villain knows by that point in the story, and plans should rely on probable outcomes and not insane leaps of luck. A lot of horror movies fall apart when you look at them from backstage in this way, because they're written without thinking the villain's story through. Why would he know that there was a knife hidden there? Why would he wait silently in that closet when he didn't know the kids were nearby? These are moments written with the intention to trick or surprise the audience, not actions motivated by a rational cause-and-effect villain. And maybe in a genre that relies on the uncanny and the irrational, that can be forgiven. But this is a superhero movie, where the decisions of the characters, point and counterpoint, are supposed to push the story forward to its conclusion. I've read a lot of people complaining about the way the heroes in this movie act out of character, or seem to have no reason for their actions. (As a side note: I think it's strange that the movie only implies Captain America's best reasons for avoiding government oversight - his recent experience with Hydra infiltration; his experience fighting legitimately elected Nazis. But maybe I shouldn't want a poli-sci debate in the middle of my action movie.) But since we're watching the heroes, at least the movie tries to fill in motives for what they do. 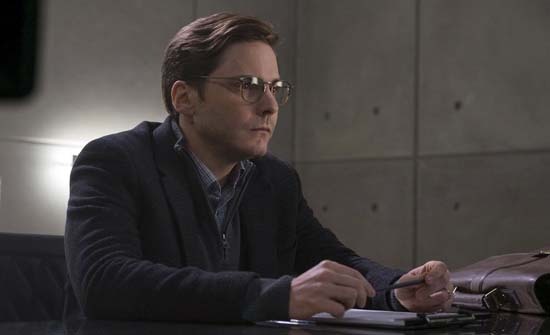 Zemo is off screen a lot, and the heroes don't really interact with him at all until the movie's climax. We see scenes with him that suggest a mysterious plan coming together, but since our point-of-view characters don't understand the plan, the movie never really threads it together. And when you try to think it through, Zemo's plan - and the whole occasion for the story - falls apart. Here, try this out. Um, spoilers. Okay. You're a high-ranking security operative in a small Eastern-European “failed state,” Sokovia. You have a family, but they get killed in a massive catastrophe caused by the killer robot Ultron. I guess you know that the robot was accidentally brought to life by Iron Man, and you therefore blame the Avengers, who were in Sokovia to stop Ultron's plan and actually saved a lot of people, just not your family. So you decide to destroy the Avengers. Or, rather, because you're just an experienced and patient security operative, you decide to manipulate them into destroying each other. I guess you know, maybe from combing patiently through the encrypted SHIELD files that were dumped onto the internet a while ago, that the Winter Soldier (a.) is Captain America's old best friend, (b.) may still be at large, though he sure seems to have died in the Helicarrier crash that happened after the aforementioned data dump, and (c.) actually killed Iron Man's parents on a specific date about twenty years ago, working either for the Soviets or for Hydra, or maybe those were basically the same thing, I guess. 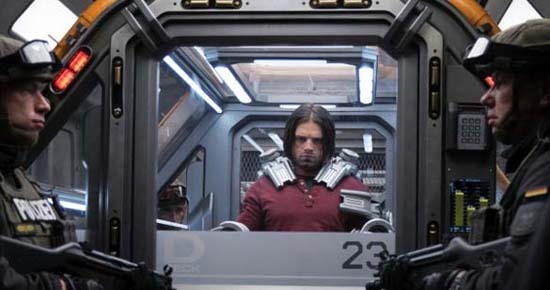 So, yeah, you track an old Russian Hydra agent to a crappy apartment in Cleveland, and while you're there you recover a hidden old code book that has information about the Winter Soldier, including a string of about a dozen Russian words that you can as a passcode to Winter Soldier's brainwashing. I'm betting you can read and speak Russian just fine, but you don't memorize those codewords. I'm not sure why. Maybe Bucky has to be able to see the notebook, too, for the brainwashing to trigger. Anyway, you keep the book. And, because it seems like good spy procedure I guess, you kill your only non-superassassin source of information, because a couple of minutes of questioning him didn't reveal anything. Now, if you're going to get this crucial documentation of Howard Stark's murder, you have to go find the guy who actually did it, maybe because you don't know about any Hydra bureaucrats or record-keepers and you figure this deep-cover highly wanted superhuman spy will be easier to find and confront. You have a plan to flush him out of hiding. You see, while you've been plotting against the heroes, the United Nations has been drafting a policy that would restrict the actions of the Avengers in order to minimize collateral damage - something, now that I actually write it out, that you ought to be totally on board with. Maybe instead of making them fight each other, which could cause a lot of damage, you should just let the bureaucracy regulate them into impotence. But hey, you have a plan already, and you're pretty far along with this. So you bomb the conference where the regulatory legislation will be signed. But you don't just bomb it. You dress up like the Winter Soldier, wig and mask and all, and set off a bomb (even though that's not his usual covert modus operandi), make sure you get photographed, and run off, hoping that (a.) the real Winter Soldier is still alive, (b.) a huge and rapid manhunt will flush him out of wherever he's been hiding, (c.) he won't have an obvious alibi, and (d.) he'll be near enough to Berlin that if he's caught it'll seem reasonable that he might have been involved with the bombing. You're confident that your ruse will keep all the law enforcement in Europe from doing any detective work that would reveal how you obtained the bomb materials or any of the stuff that would usually follow an anonymous attack. It works! And it's a good thing that it does, because when the Winter Soldier is captured, you're already somehow ready to catch, murder, and replace the local psychologist who will be hired to interrogate or debrief him - fortunately, the Counter-Terrorism Task Force didn't choose a female psychologist, or anyone who's known to anyone you'd pass at their HQ, because this time you don't bother with a disguise! You've somehow acquired a big EMP device that you have already packed up and shipped to a nearby power relay station before Winter Soldier is captured, because you're certain they'll hold and interrogate him where you are - Berlin - and not where he's eventually captured (though you didn't know where he was until he was captured). It works! You actually manage to get face to face with Bucky, trigger the EMP, and repeat the code words in a highly secure facility without anyone recording them or seeing what you're doing. You have to murder a few people to do this, I guess. And you get Bucky to tell you where the records of his missions will be, as well as a half-dozen other really dangerous Winter Soldiers that I guess no one has tried to recover since Hydra fell apart. At this point, I guess you improvise some instructions to Bucky - like, “Get to the roof and escape by helicopter, unless you can crash the helicopter into Captain America first and fall into the river; just, you know, get out of here. I'm done with you.” Or maybe you tell Bucky to come with you to Siberia, and he just isn't very good at escaping from situations like this. I'm not sure why it doesn't occur to you right at this point to tell Bucky to spill his guts to Iron Man (who is on site and will soon be face-to-face with him). That would really drive a wedge between them, if Bucky was compelled to admit that he'd choked Iron Man's mom to death. But maybe you want to stretch this out a little longer, to let the tension build so Iron Man will be even more upset. Or maybe you think the video of the murders is even better, for your purposes, than a first-person confession. Anyway, you pretend to be wounded when Captain America comes to find you, and you run away when Bucky starts fighting him. In the chaos, because only a few people have figured out that you're the bad guy, you escape the enemy base. Sharon Carter, maybe due to incompetence, doesn't tell any of her colleagues that you should be stopped. They don't already seem to be following you - maybe Winter Soldier didn't give them enough clues to go on; maybe they're just not notifying anyone of their whereabouts - so you pause in Siberia to call the Berlin hotel and ask room service to bring you breakfast, so they'll discover the body of the murdered psychologist. Then you rent a snow tractor that will take you the long, slow way to the Siberian base, even though the Avengers have planes (and flying armor) that will probably get them to the base before you can caterpillar over there. You're in luck! The Avengers haven't arrived yet, so you hurry into the frozen base, recover the VHS tape you've been wanting, and murder the extra Winter Soldiers (because they are super-powered people, and therefore bad, so you'd rather get rid of them than try to control them or use them to defend you). Just as you finish, some heroes arrive! It's too late to run away with your video, so you hide in a blast bunker and, when you see that Iron Man is among the heroes, you cue up your video display. Everything is working out for you! They start to fight - like, to physically fight each other, which is more than you had hoped for. You escape! Vindicated, and sure of the Avengers' destruction, you don't run. You delete the voicemail from your wife that was your last memento of her, and when Black Panther refuses to fight you, you decide to kill yourself. That doesn't work out as well as the rest of your plans. 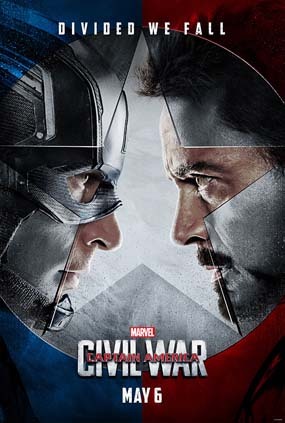 I don't think this is actually the plot that the Civil War screenwriters thought they were putting into their movie. It's full of holes, gambits that should not work, stratagems that should have required more time than Zemo had, and several moments where Zemo ignores his own motivations in order to arrange cooler feints for an audience he doesn't know he has. They leave a lot of the connections implied - like the fact that the records of the attack are only in cold storage in Siberia for some reason - when they're actually important to the story. In fact, I don't think the Civil War screenwriters really thought about this set of structural problems at all, and it's a shame. It's the sort of thing I would recommend one of my writing students think hard about if I saw plot problems of this sort: what does this story look like from the other character's point of view? Marvel has plenty of mastermind villains they haven't used in the movies yet. When we get a movie with Mysterio or Arcade or Mister Sinister or the real Dr. Doom, I really hope the manipulative machinations all make sense. Writers, ask yourselves: does this make sense from the antagonist's point of view?